• Joe Mauer has taken a lot of criticism for his lack of playoff production, which includes hitting .286/.359/.314 in nine career games. My hope is that anyone who's been reading this blog for any length of time would realize that a sample size of nine games spread over three different postseason appearances is hardly meaningful, but Seth Stohs recently took a different view of Mauer's playoff performances that should hammer that point home even further. Mauer has participated in the playoffs in 2006, 2009, and 2010. In all three seasons the Twins were eliminated in three games. Kirby Puckett has a reputation for being a postseason hero, and rightfully so, but much of that comes from his actually having the opportunity to play more than three playoff games at a time. For instance, Puckett made his postseason debut in 1987 against the Tigers and went 1-for-13 through three games of the ALCS. What if, like Mauer after just three games in 2006, 2009, and 2010, the 1987 playoffs would've been over for Puckett at that point? They weren't, of course, but in the World Series that same year Puckett was 3-for-12 through three games. Again, what if he wouldn't have had a chance to play beyond a third game? And then in 1991 he was just 3-for-12 through three games of the ALCS and 1-for-12 through three games of the World Series. My point isn't to take anything away from Puckett's postseason greatness, but rather to show that focusing on three-game samples spread out over multiple seasons as a way to conclude something about Mauer (or any player) is silly. If you take the first three games of Puckett's first three playoff series--essentially matching Mauer's career playoff opportunities--one of the greatest playoff heroes of all time would instead be 7-for-37 (.189). Mauer is 10-for-35 (.286). Hudson, who turns 33 in December, told me he would love to return to the Twins, but he's a pending free agent, and the writing is on the wall with their payroll situation. It looks like he'll be playing for his fourth team in four years in 2011. Hudson provided nice value for the Twins on a one-year, $5 million deal, hitting .268/.338/.372 with good defense in 126 games, but right now my guess is Alexi Casilla will be the Opening Day second baseman in 2011. • Speaking of Hudson, the official Elias Sports Bureau free agent rankings used to determine draft pick compensation have classified Carl Pavano and Matt Guerrier as Type A and Hudson, Jesse Crain, Brian Fuentes, Jon Rauch as Type B. Teams that lose Type A free agents receive the signing team's first-round pick and a sandwich pick between the first and second rounds, while teams that lose Type B free agents receive only a sandwich pick. And in order to receive any compensation the team losing a free agent must first offer salary arbitration, with the risk being that the player may accept and force them into a one-year deal. Guerrier being ranked Type A complicates his status quite a bit, because many teams won't be interested in losing their first-round pick to sign him. That makes him far more likely to accept the Twins' offer of arbitration, which would mean a one-year contract for at least $5 million. Obviously, I'd love an opportunity to do that. I guess we'll see what happens this offseason. A team might come and offer me that. I'm kind of looking forward to seeing what happens. I'd love to be back here. I love the guys, I love the organization. It's the only place I've ever been. I feel comfortable. We'll just have to see what happens. Crain has never closed for the Twins, saving a total of just three games in seven seasons, but certainly has the velocity most teams look for in the role and is hitting the open market at an ideal time after posting a 1.42 ERA, .170 opponents' batting average, and 42/20 K/BB ratio in his final 45 appearances (before serving up a homer to Mark Teixeira in the playoffs). • Justin Morneau told Kelly Thesier of MLB.com that there's "nothing really new to report" on his recovery from the July 7 concussion that caused him to miss the final three months of the season. Morneau ramped up his workouts in September in the hopes of perhaps being ready at some point during the playoffs, but was ultimately shut down again after experiencing more post-concussion symptoms and has yet to resume working out. • While appearing on 1500-ESPN with Patrick Reusse and Phil Mackey general manager Bill Smith made it clear that the Twins will attempt to re-sign Jim Thome, which is no surprise. • Jacque Jones was among the many Twins minor leaguers who became free agents once the season ended and he's unlikely to be back after batting just .280/.319/.386 in 96 games at Rochester. Some other relatively well-known minor-league free agents: Brock Peterson, Matt Macri, Mike Maroth, D'Angelo Jimenez, Tim Lahey. No major losses and the bigger decisions will come when better prospects have to be protected from the Rule 5 draft next month. 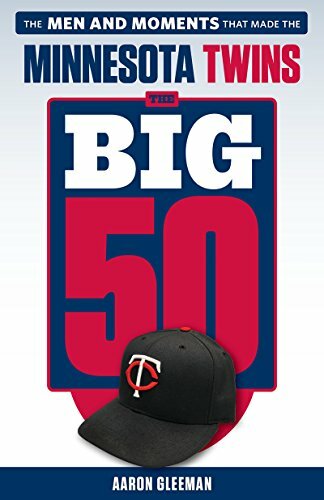 • Bodog.com has posted some very early odds on each team winning the World Series in 2011 and the Twins are listed at 16-to-1, which is tied with the Rangers for seventh-best. I believe most older Twins fans frustration w/Mauer is that he leans more to being like Carew offensively instead of Oliva or Kirby. Carew was my favorite Twin and he was one of the very best contact hitters of his era. He hit line-drives up the middle and to left-field. Because of his body type he wasn’t expected to hit HR’s. He was usually more of a table setter until later in his career w/MN. On the other hand, Joe being 6’5″ and 235 and mostly batting 3rd, many fans probably expect him to be more of a pull hitter and hit more HR’s and drive in more runs. Tony and Kirby also hit for high avg, but also hit many doubles and 20+ HR’s most yrs. They were both free swingers and didn’t walk much, but also didn’t strike out frequently. I’d like to see Joe sacrifice some avg and try and drive the ball to right-center more. It does not appear that he has the power to hit line drive HR’s just over the left-field wall in the new park like he did in the Dome in 2009. I’m against resigning Thome if Morneau is healthy. He can’t run the bases and can’t play defense. He also can’t play multiple days in a row, because of his back, and doesn’t hit lefties. I just finished “Moneyball” a few weeks ago, and while there are several things annoying about that book, probably the most jarring moment for me was ready 200 pages of Billy Beane obsessing over every single regular season game like it was the end of the world, and then coming up with the famous quote: “My s%&t doesn’t work in the playoffs” as a casual dismissal of the 2002 Twins knocking his A’s out of the playoffs. That seemed a bit hypocritical to me that sabermetricians will always tell you they can explain everything that happens in a baseball game by numbers, except in the playoffs, where the nookie blanket defense of “small sample size” magically kicks in. My point it not to disagree with what you said about Mauer altogether, but rather to suggest that there’s more to the story than just the numbers. Kirby Puckett is a legendary MN sports figure in retrospect, but nobody ever paid him $181 million (even adjusted for baseball inflation), and I don’t recall people debating whether or not he was the best player in all of baseball, as some in this town (and some who author this column) occasionally do. The idea that an at-bat against the Yankees in mid-October is no different than one against the Royals in July, and that those two events happen in a vacuum is a fallacy. Baseball history doesn’t care about things like “regression towards the mean” or small sample size. It cares about winners. And Mauer, along with Morneau and his fellow band of playoff choke artists, have never won a playoff SERIES, let alone a championship. Fair or not, Mauer is perceived as one of the leaders on a team that simply cannot win when it counts, and the numbers have nothing to do with why the fans get frustrated. Puckett signed the largest per year salary in all of baseball at one point, so, yes, he is like Mauer that way. Yes, Puckett (for a brief moment) had the highest salary in baseball. No sabermatrician has ever said that they can explain everything that happens in a baseball game with math, but when trynig to argue a point, people often exaggerate and put words in other peoples’ mouths. Cuddyer has been our backup 1B for the past 2 seasons, but is there any chance Kubel could learn the position in the off-season? I’m increasingly concerned that Morneau may never play again (which would be a tragedy), and if Thome is back wouldn’t it make more sense for Kubel to be able to play 1B (especially since his OF play seems to be getting worse)? I’m fine with the O-Dog moving on in favor of Casilla, I think. His bat really went to hell at the end of the season, and while we got good value for him on a 1-year deal he’s probably not worth the $5-6M he’ll end up commanding from someone this time around. Alexi has the ability to be a solid defensive player with a high OBP, excellent speed, and very little pop in his bat. I can live with that at 2B. I hope the Twins don’t throw $5-8M on a veteran pitcher just to have one on the roster. I would prefer to let Pavano go (he’ll be too spendy; someone is going to offer him 3-4 years at about $10M per) and fill from within. Liriano, Baker, Duensing, Blackburn, and Slowey is a good rotation and there’s help in the minors ready to go if/when one of them falters/gets injured. What I really want to see is the Twins to get a RH platoon bat to split with Kubel. Hardy I want signed to a multi-year deal (3 years $18-20M?) and I think we can do it at a reasonable price. I would prefer Revere as an additional OF because of the speed and defense and it gives him a chance to develop against MLB pitching; let’s find out if he can hit enough to be a regular. Tolbert is acceptable as a utility guy and if he fails try Plouffe. (Harris is dead to me right now) Morales can play 1B if needed, might be an acceptable hitter, and can catch well enough to be a backup for Mauer. What I can’t ID is the RH bat off the bench this team needs. Who can we get for $3-6M that can mash lefties? The pitching staff is where we save some money. I’d like to keep Guerrier, Rausch, and maybe Fuentes, but they’re going to cost too much. Overpaying for bullpens is a bad plan. The rotation will miss Pavano some, but either trust these guys or get rid of them. They’re veteran enough now to not need a “stabilizing veteran presence”, whatever than means. RH bat=Luke Hughes, if he can stay healthy. He’s cheap, and appears to be able to hit LH pitching. He can play (not great, but adequately) nearly any position other than CF and C. I’d rather they roll the dice with him, and get a “real” 2B, than pay big money for a RH pinch hitter/DH (unless that hitter is Konerko, in which case you’d not be signing Thome). One scenario (if Morneau can’t come back) involves Adam Dunn at 1B, but I don’t think they’ll act on 1B until the spring, so they won’t be signing Dunn or Konerko. They really should concentrate on finding a long term solution at 2B. If you could trade Span and Kubel (or someone esle) for a legit 2B that isn’t old, I’d rather have that player and Rever in center, than Span in center and Casilla at 2B. I agree with Josh that it makes little sense to overpay for the bullpen. In spite of that, I would like to keep Fuentes if at all possible. However, you don’t really addreess Fuentes in this post. Won’t most teams be offering him a closer role? Won’t that make him unaffordable? Why is he a class B – he was considered a top level closer as recently as the beginning of the 2010 season? I would think he would have more value than Guerrier (not discounting Guerrier). Fuentes had 48 saves in 2009 and 24 last year (while being hurt much of the year). They both had similar ERA’s. Nice post Josh. I agree except for Morales. I think we will be stuck with Butera. Here is my lineup against LH pitching: Span(CF), Mauer(C), Young(LF), Justin(1B), Cuddy(RF), RH DH, Valencia(3B), Hardy(SS), Casilla(2B). Against a RH pitcher: Span(CF), Mauer(C), Justin(1B), Kubel(RF), Thome(DH), Young(LF), Valencia(3B), Hardy(SS), Casilla(2B). Only pay Crain and Nathan in the pen. Pick up the rest of the pen for cheap. Should be able to pick up a few bull pen arms for 1M or less each. Slama, Crain, Mijares, Perkins, Nathan and some other career BP guy. Not Guerrier, Rauch, Fuentes or Capps. 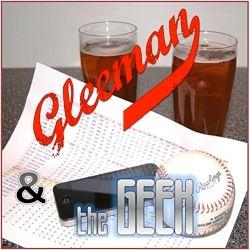 Span, Kubel, and good prospect for Uggla. Sign Uggla to deal that kicks in with more money next year when Cuddy’s deal is off the books. Sign Thome for 1 year. Money works out, and you have Uggla, Revere, Thome vs Casilla, Span, Kubel…..You lose something at CF, but are 100x better at 2B (and he’s RH too). I’d like to see a huge trade splash this offseason. Something unexpected that helps up a ton. This frees up CF for Revere(which is a gamble being so young) and RF for power hitting Bruce. Also Pushes Blackburn to RP for Sam Lecure in the ROTO. This deal actually gives CIN a real CF, and a decent veteran RF for a playoff push. Obviously they’d be giving up alot in bruce but in being a RFA saving money in the longrun. Why would anyone trade Jay Bruce for Cuddy and Span? That makes no sense from their side. Re: Mauer, I agree with AG. SSS applies when looking at his playoff performance. A good comp for Joe, btw, is Wade Boggs. He was a another big guy who hit singles and doubles, had one good HR year, but otherwise frustrated a large segment of Sox fans who couldn’t accept him for what he was: a HoF slap hitter with a great batting eye. As for arbitration, they have to offer it to Pavano, and be happy enough getting 2 picks when he signs elsewhere. I agree that he’s likely to be too expensive. Teams frequently get burned signing 2d tier guys to big contracts. I hope that’s not MN. They should consider offering arb to Guerrier and Crain. Crain probably will not accept. Guerrier could, b/c AG is right about other teams shying away from his type A statu (though some team signing a higher ranked FA or two might bite). I don’t think Matt would get $5M in arb if he accepts – probably closer to $4, and that’s ok on a one-year deal for a quality innings set-up guy. Per the 2011 Bill James Handbook, Delmon Young is -27 in runs saved over the last three years, which is worst in the majors. Carlos Lee at -20 ranks second worst at left field, but Carlos now plays some at 1B. I think Delmon should see some time at 1B, also. This is not the NBA. Teams do not trade a good player for multiple mediocre players with bad contracts.